Feeling out of sorts? Anxious? Stressed? 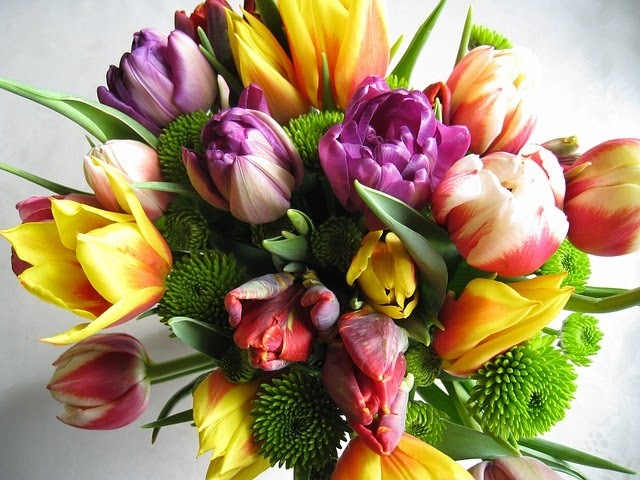 Treat yourself to a bouquet of fresh flowers or a pretty flowering plant. It is a known fact that flowers can evoke memories, convey passion, sympathy, or celebration, but they can also make us feel better. The fragrance of flowers helps to restore the balance between body, mind, and spirit. 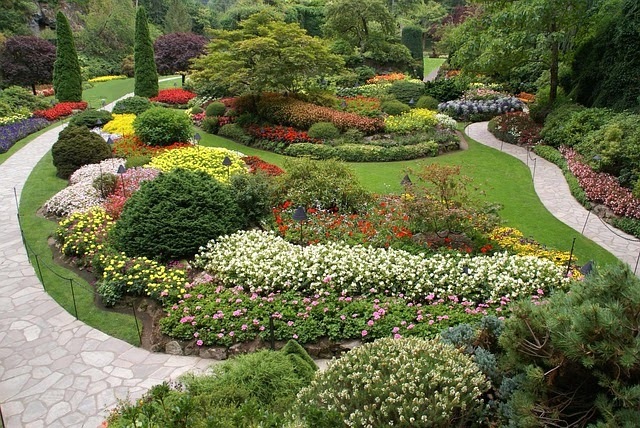 If you've ever visited a botanical garden, its tranquil beauty is a treat for the senses. As you slowly meander along the garden paths you feel relaxed, refreshed, and renewed. It's not coincidence. It's Nature's way of soothing the soul. Flowers and plants have an immediate impact on happiness and well-being. Feeling pressured at work? 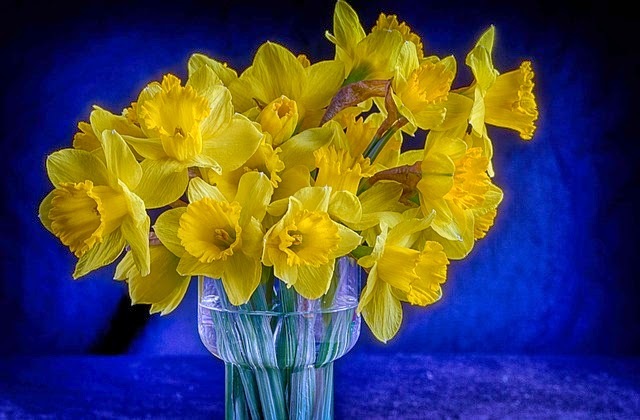 A vase of yellow daffodils can ease job stress better than a typical indoor plant such as a philodendron. Are you housebound during a long dreary winter? 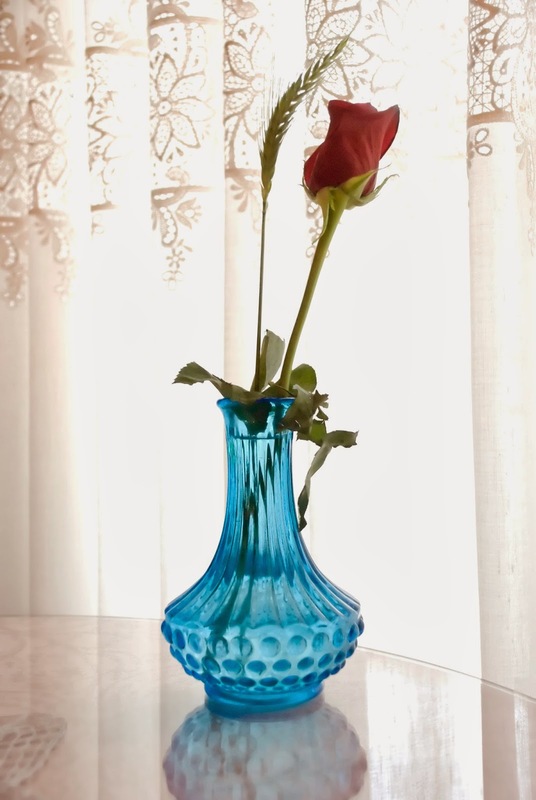 A single red rose can fill a room with its sweet fragrance and bring a smile to your lips. There is also another alternative to fresh flowers. Aromatherapy. The practice of aromatherapy dates back thousands of years to the early Egyptians. They used it in their rituals but they were well aware of its other benefits. Aromatherapy is Nature in a bottle. 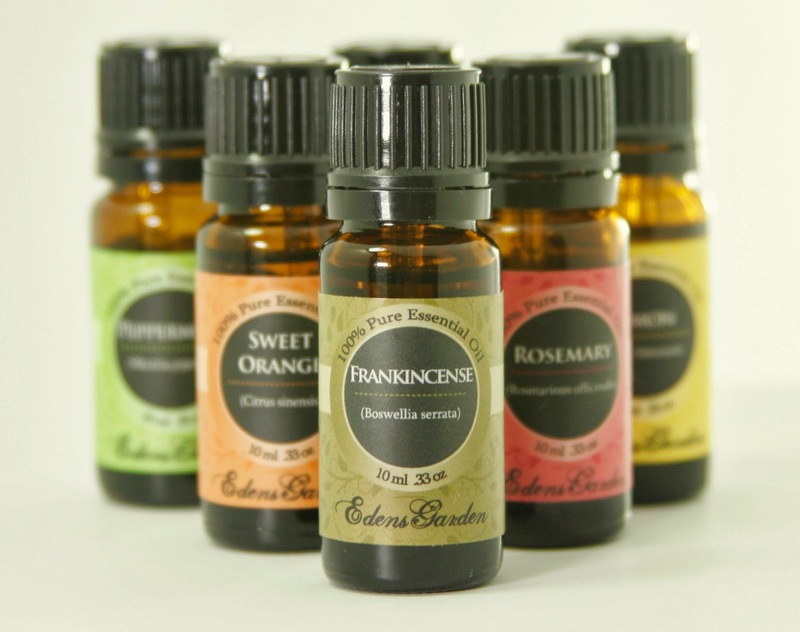 The fragrance of scented oils can lift your spirit, brighten your mood, or boost your energy depending on the flowers or plants used. 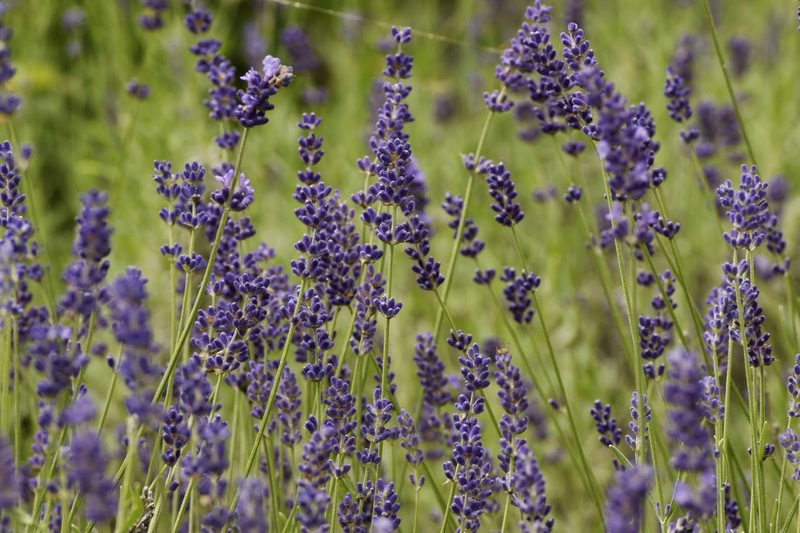 Due to its exceptional calming qualities, lavender is the most widely used scent in aromatherapy. Other scents also used to relieve stress are rose, chamomile, and jasmine. Need to re-energize? Try lemon or orange essential oils to put a little bounce back into your step. 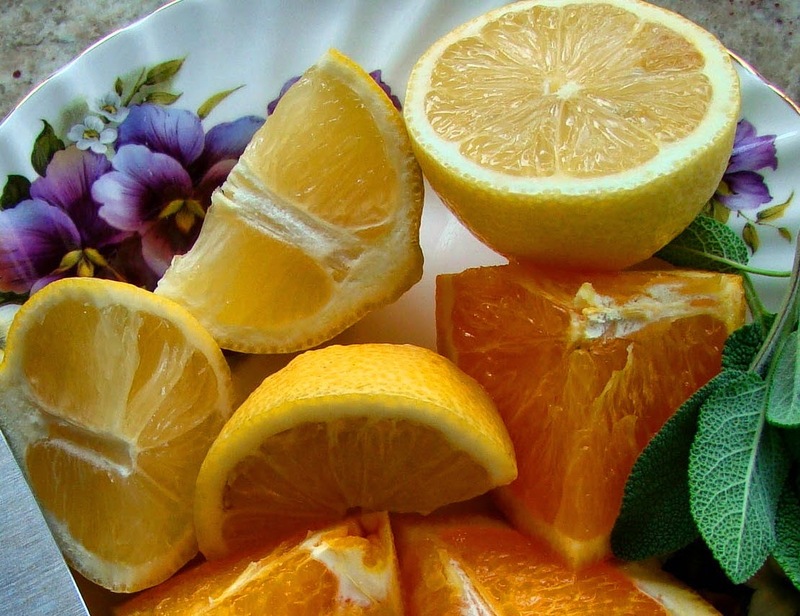 For an added bit of visual pick-me-up, place a vase of flashy citrus-colored flowers on your breakfast table. Take some time to stop and smell the flowers ... you might be very glad you did!